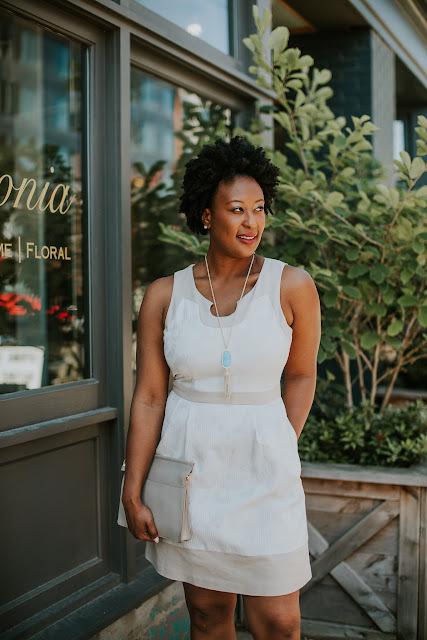 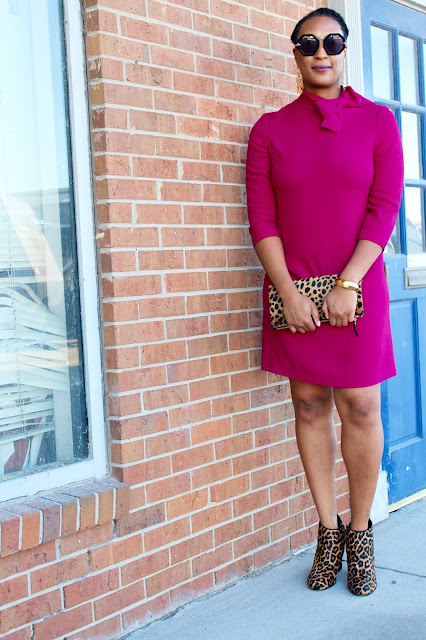 This cute mod look is one of my favorites. 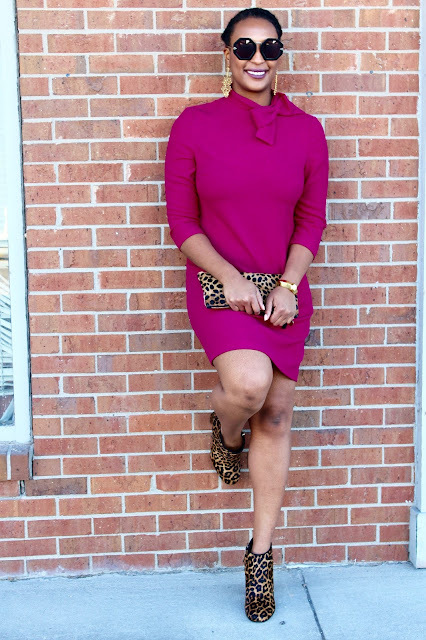 It is stylishly appropriate for business wear and social functions. 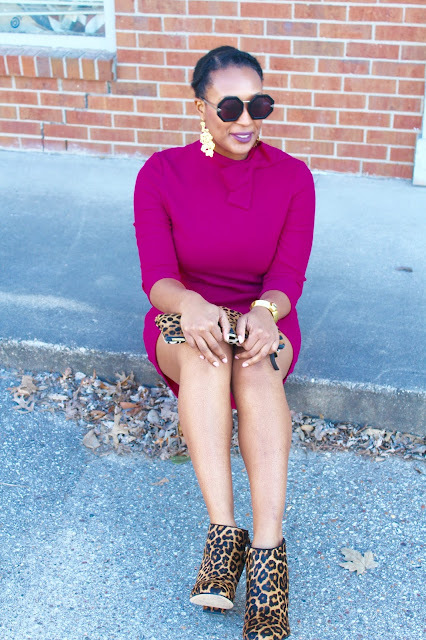 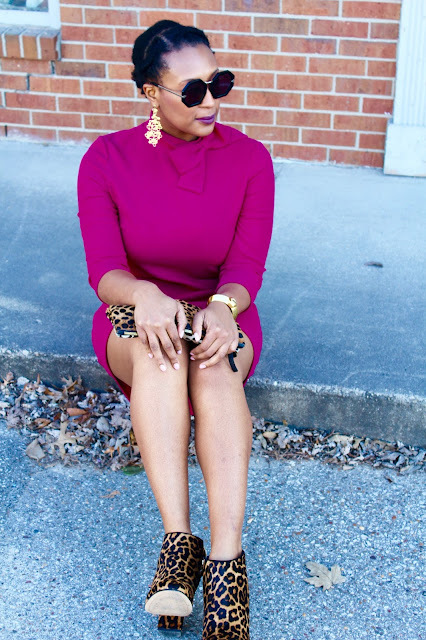 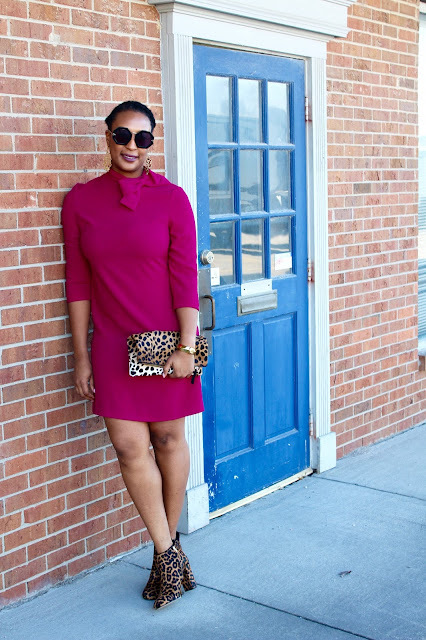 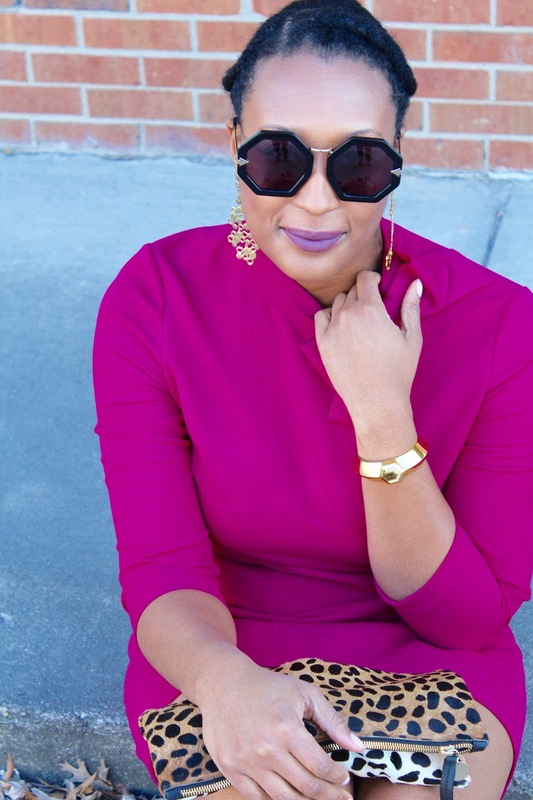 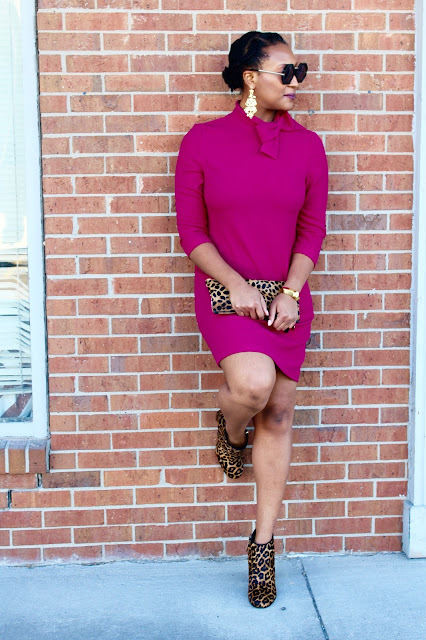 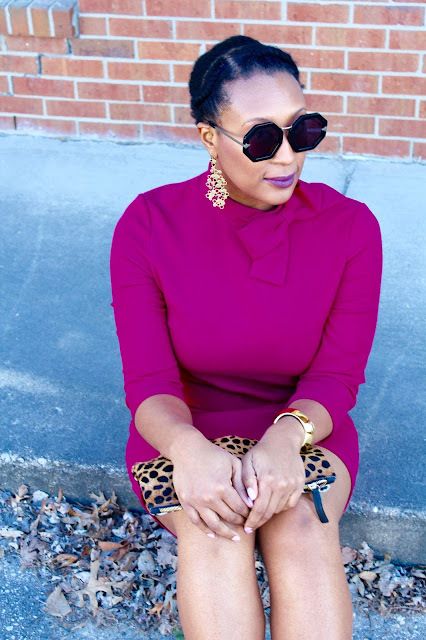 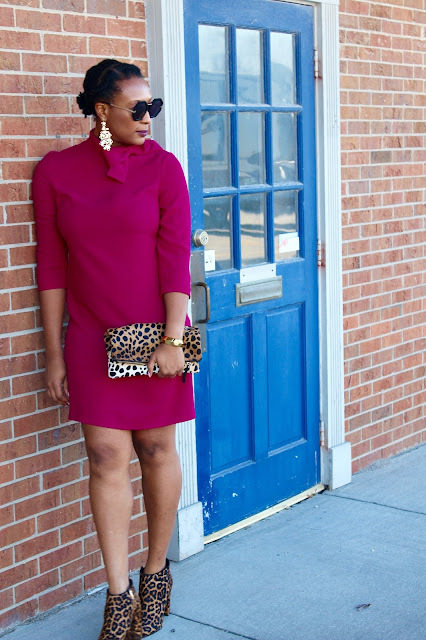 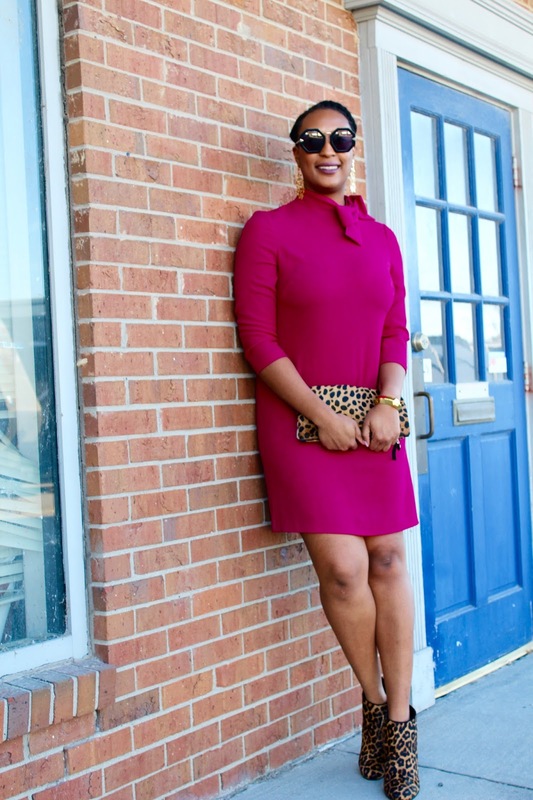 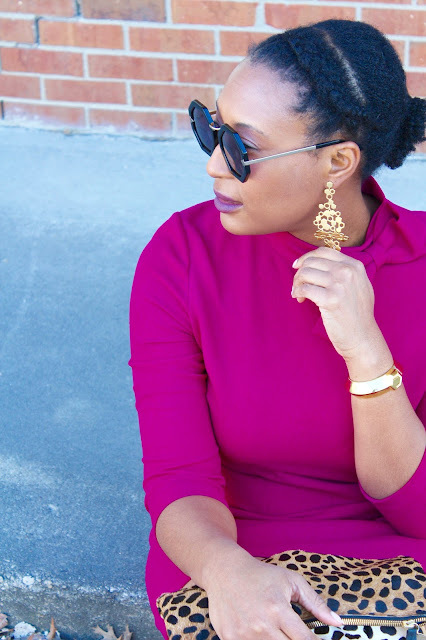 The fuchsia color of the dress pops when paired with leopard print booties and a clutch. 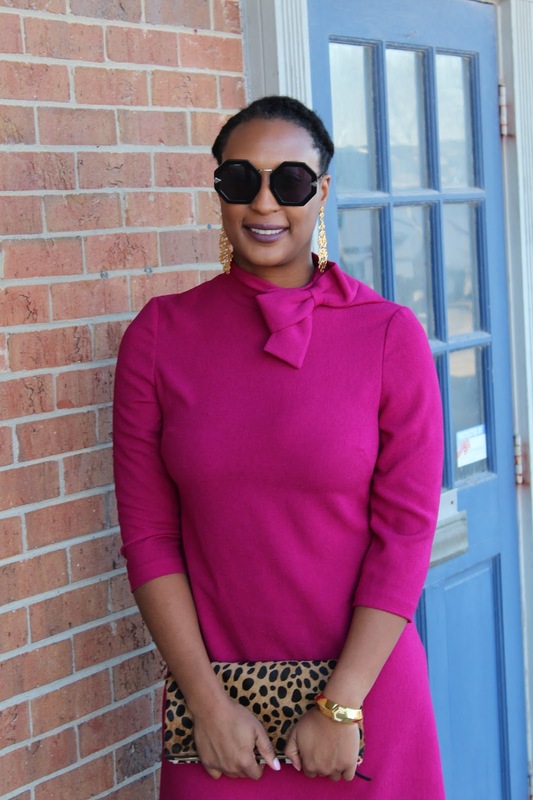 But what about the sunnies? Aren't they perfect from this outfit? You can try them out from Shop Ditto, where you can rent sunglasses before you commit to buying, use code: ABSOLUTELYALLI for a free month. 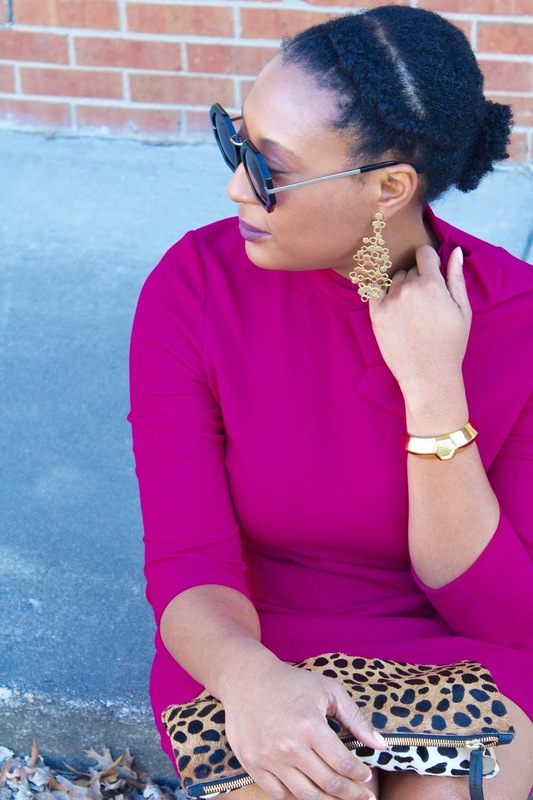 I finished the outfit with gold earrings and a bracelet. 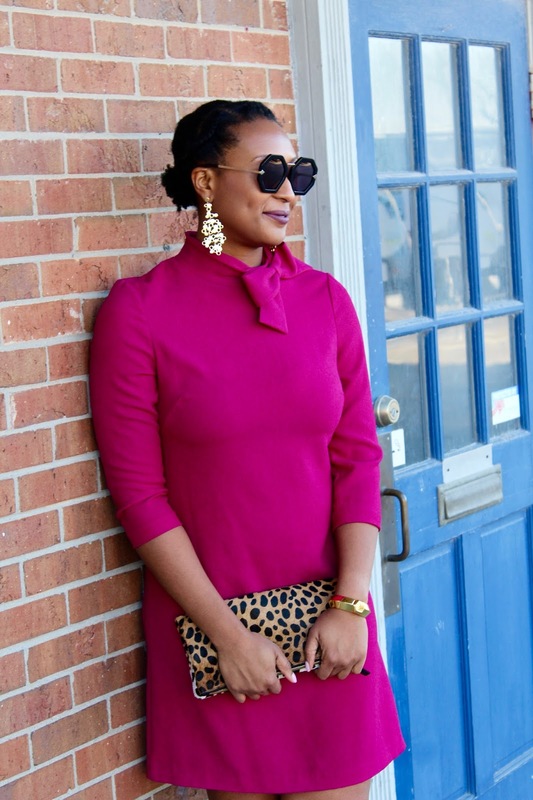 What is your favorite mod inspired look? 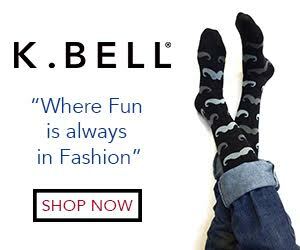 Shop mine below.